Posted 5 years ago in Evermore, Expression, Mineral, Photolux, Porcelain, Story	and tagged as gallery, image, lightbox, portfolio, slider. When creating a portfolio slider or a portfolio lightbox item, there are a few different ways to add the images. In the theme documentation we have described the recommended way to add images, which is by adding a gallery into the content of the item (for showing an album of images) or by setting a featured image (for showing a single image). For more detailed instructions with screenshots on how to add images to the portfolio item, please refer to the Portfolio Gallery page section of the documentation. 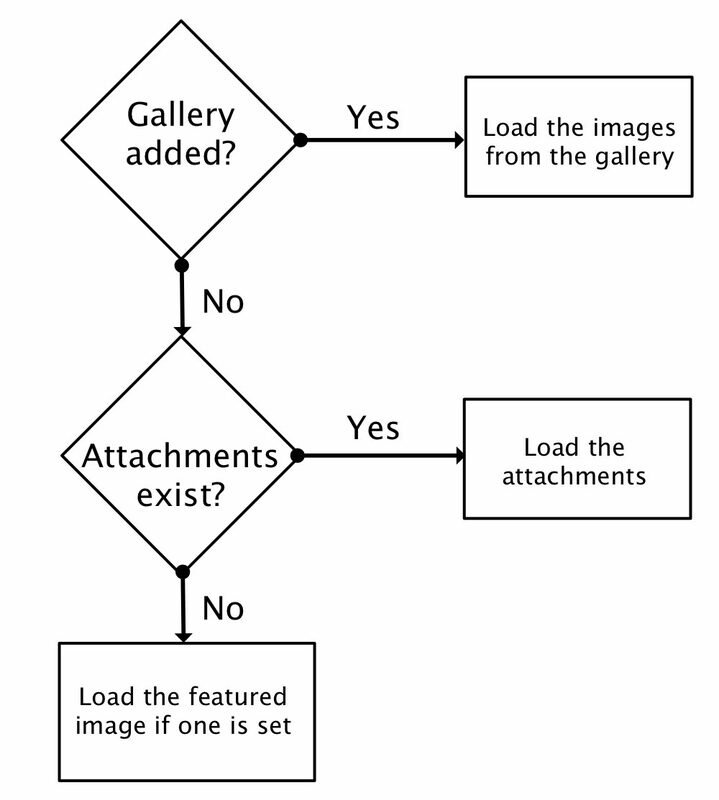 In the case when you don’t add a gallery of images, the theme’s code will look for image attachments to load the images. 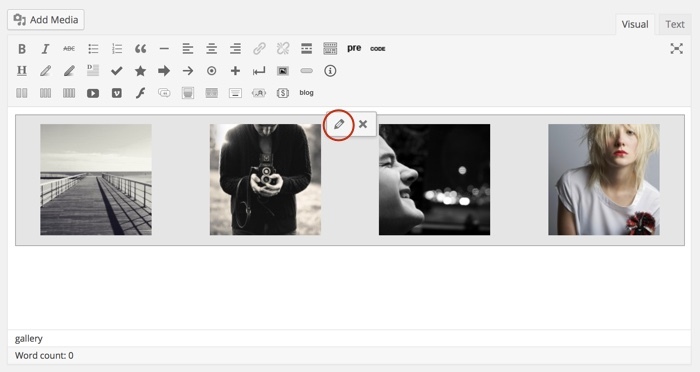 An image becomes an attachment to a portfolio item when it is uploaded from the portfolio item page – the image doesn’t have to be added to the content of the item, the only requirement is to be uploaded from the item’s page. We don’t recommend adding the images as attachments, as it is more difficult to manage (add/edit/remove images), however we’ll explain how the images are loaded by default, so you can decide for yourself which is your preferred method to add the images. 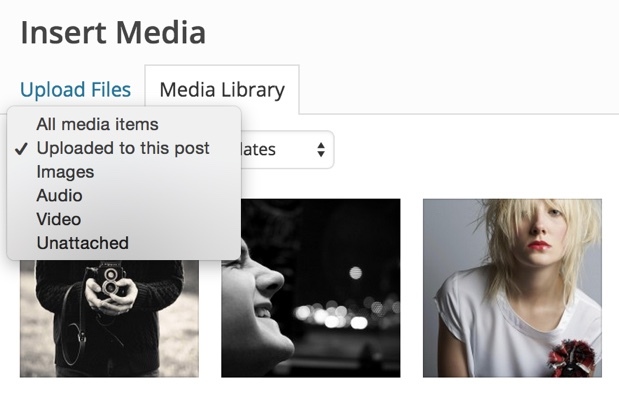 When the images have been added as attachments, in order to edit the existing images click on the “Add Media” button and after that select the “Uploaded to this post” option in the drop-down filter – this will display all of the attachments. You can after this edit, reorder or remove the images. If you would like to add new images, you can just upload them from the “Upload Files” section – as soon as they are uploaded from the same portfolio item, they will become attachments.